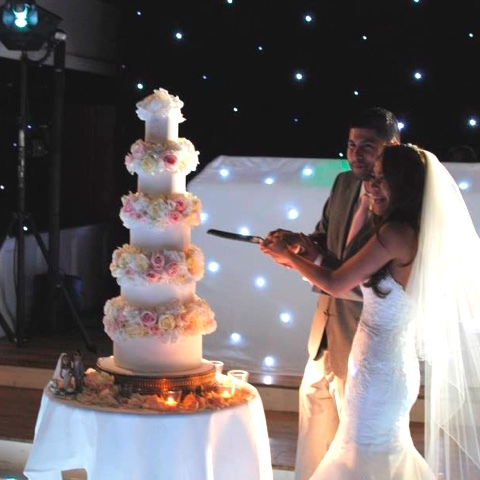 Thank you to any clients for sending your pictures of your toppers in action. Thank you so much for our beautiful cake topper and for the incredible attention to detail from the photographs that I sent to you!It was a present from my parents and we did not see it until the actual reception so we were totally thrilled with the finished product...especially our Wedding outfits combined with work attire and Hugo the Dog! 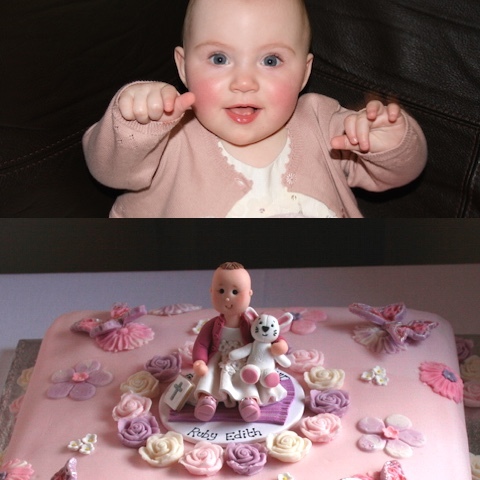 Hi Sarah, Thank you so much for the amazing cake topper for my Granddaughters christening cake. 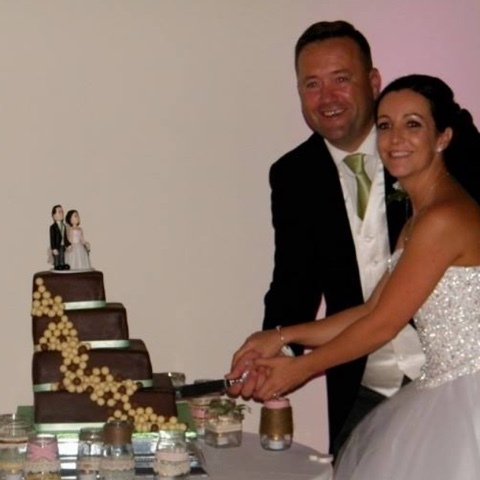 My daughter and son-in-law did not know about it until they saw the cake on her special day and thought it was lovely. The attention to detail from the photos I sent was so accurate right down to the pattern on her jacket and her dinky little shoes. We had many complimentary comments about it and it was so good people recognised that the topper was a replica of what Ruby was wearing on the day. It will make a special keepsake for her which I am sure she will treasure. Once again, Thank You, Jan.
WOW! My topper arrived this morning and I am amazed! I knew it would be good but it is just perfect! the detail is so good that I can't let my groom see it until the wedding because he will know exactly what my dress looks like! thank you so much! 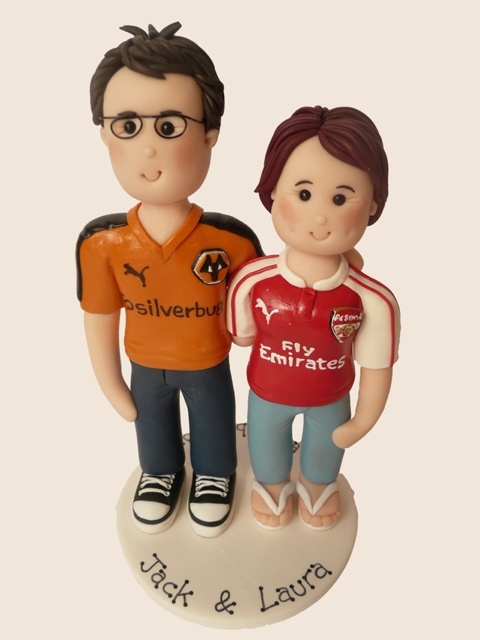 Hi Sarah, a huge thank you for making our cake topper...This was a surprise for my husband as he knew nothing about it and thought it was fab ... so many people commented on how good it was and it looked just like us on our wedding day... it is now pride of place in our kitchen and I smile at it everyday as such a great reminder of our special day... Thank you. 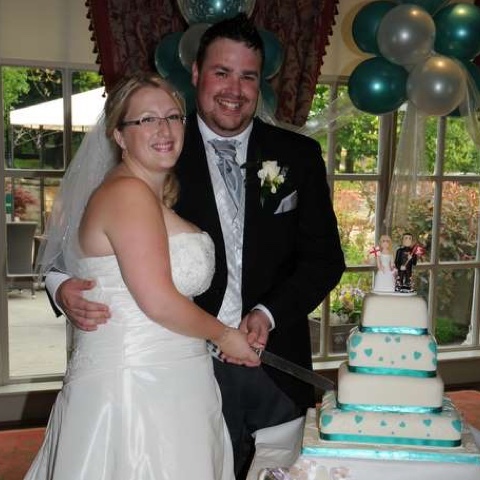 Hi Sarah, we would like to again thank you for all your help, support and professionalism on our wedding. 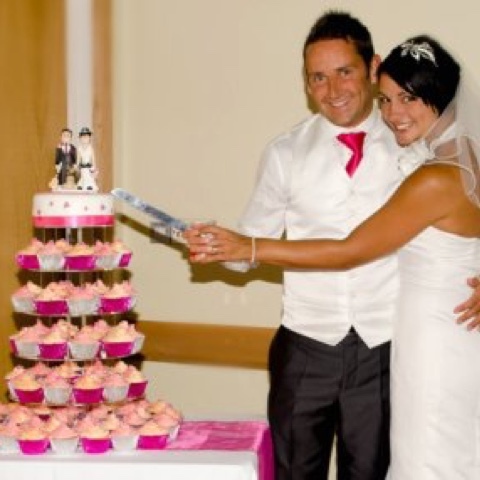 On reflection, the day simply wouldn't have been the same without your beautiful cake topper. You added so much value in making our special day perfect. Your simple and warm manor has made a real impact.